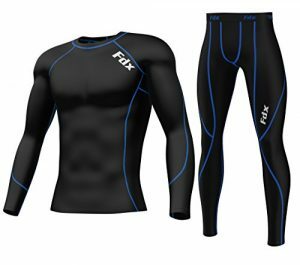 Whatever your chosen outdoor activity, from walking or climbing to running or snowsports, choosing the best base layer for your activity can make a huge difference to your comfort and performance. One key benefit of base­lay­ers are their ability to dry quickly, trans­porting mois­ture away from your skin. Depending on the material, they also often resist odours, and they can be softer on your skin than some other types of fabric or clothing. This all-important layer that is often not changed for days on end and acts like a sec­ond skin is no place to skimp. Our guide will help you learn how to choose the best base­layer for your needs. The choice of base­layer fabrics really comes down to a couple of options: syn­thetic fabric or wool. Each of these options has it’s own advan­tages. Wool has been used in clothing for cen­turies, and is well proven as a base­layer. Most good wool base­lay­ers use some mix of merino wool as the main fab­ric com­po­nent. It is some­times blended with small amounts of poly­ester, or other syn­thetic mate­ri­als to increase the prop­er­ties of the garment. Merino Wool is also well known for its abil­ity to dry very quickly and resist odours. Some merino base lay­ers include acti­vated car­bon addi­tives to enhance the wool’s wicking and quick-drying prop­er­ties even further. An added bonus of acti­vated car­bon treat­ments is they tend to fight odours even more effectively than just merino wool alone. Syn­thetic base­ layer mate­ri­als often use poly­ester as the primary component. Although many manufacturers use their own special fabric technologies, the fab­rics themeselves are often actually very sim­i­lar across the different brands. Many polyester-based gar­ments blend other materials other syn­thet­ics into the cloth to add extra stretch. Some syn­thet­ic fabrics also include antimi­cro­bial treat­ments to help fight body odour. When if comes to choosing between wool or synthetic, deci­sions are often made based on price point. Merino wool can be more expensive, however many peo­ple will still choose wool for its soft­ness and nat­ural feel. Base­lay­ers are used in a wide range of weather con­di­tions and activities, from freezing ice climb­ing and snowsports to hot sum­mer runs. To accomodate all of these extremes, base layers can come in a wide variety of weights. Many peo­ple select a light­weight base­layer as their first layer against the skin, no matter the tem­per­a­ture. Light­weight base­lay­ers help pull mois­ture away from the skin and are very ver­sa­til­e. Both syn­thetic and wool light­weight base ­lay­ers are good on their own for hot tem­per­a­tures, or under many other lay­ers in the colder conditions. 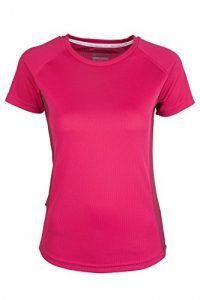 A mid-weight base layer can be worn against the skin or over a light­weight base layer as extra insu­la­tion. Most mid-weight options are thick enough to pro­vide warmth on their own, espe­cially if used with a light weight shell on top. These lay­ers are a common choice in Sum­mer moun­taineer­ing clothing, around the campsite at night, or as part of a win­ter lay­er­ing system. Heavy base­layer clothing is usu­ally just for win­ter use. Although they can be useful at other times of year as stand-alone tops, they gen­er­ally give too much insu­la­tion for warm weather activ­i­ty. Wear­ing heavy weight base­lay­ers close to the skin pro­vides an effective wick­ing layer that dries quickly and also insu­lates against the cold. Some base lay­ers are designed to be tight fitting. These lay­ers are called com­pres­sion lay­ers, and they work by reduc­ing vibra­tion and lat­eral move­ment in work­ing mus­cles, which research has shown can help reduce fatigue. Com­pres­sion gar­ments are pop­u­lar in running and oth­er sports, where you can see a ben­e­fit from this type of mus­cle sta­bi­lisa­tion. From technical t-shirts worn all year-round, to heavy Winter options, base ­lay­ers are pop­u­lar tops for all sorts of activ­i­ties. They can be worn in a broad range of con­di­tions and most are designed to also look fashionable. Fea­tures to con­sider are long zip­s or but­tons under the col­lar that can be opened to release heat dur­ing aer­o­bic exer­tion, thumb loops on long sleeve mod­els and hoods, which can sig­nif­i­cantly add to the warmth and versatility of the layer. 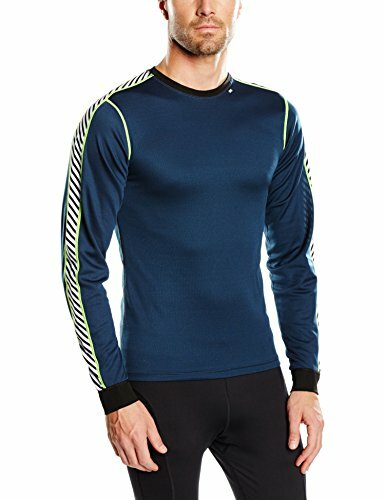 Sometimes also known as long johns, mod­ern base layer bot­toms are a fantastic piece of kit for Win­ter activities. A heavy weight bot­tom worn underneath a shell is often enough insu­la­tion for down­hill ski­ing or snowboarding, even on mod­er­ately cold days. When choos­ing bot­toms, also take into account the weight of your other lay­ers. Will you only wear a shell over the bot­toms or do you wear insu­lated shell trousers? Insu­lated trousers need much less addi­tional warmth and a light­weight base layer will probably be better for all but the very cold­est of days. Most base­ lay­ers deal with body odour to some extent. Most com­monly, some type of antimi­cro­bial treat­ment or addi­tive slows the growth of the bacteria that causes body odour smells. While most manufacturers treat their base ­lay­ers in some way, some work better than others. It can be worth inves­ti­gat­ing the way the treat­ment is applied and how long it’s guar­an­teed to work. Some older treat­ments were known to wash out of gar­ments over time., while mod­ern tex­tiles are tested for antimi­cro­bial prop­er­ties through around 50 washes. If you’ve ever used sun­screen you’ll know about SPF, how­ever UPF is a slightly less seen rat­ing that’s also used for gar­ments. It stands for Ultra­vi­o­let Pro­tec­tion Fac­tor and many base ­lay­ers include an addi­tive to increase resis­tance to ultra­vi­o­let radi­a­tion. They will fre­quently list the SPF rat­ing of base ­layer shirts as part of the tech­ni­cal infor­ma­tion for the prod­uct. As a comparison, a thin white cot­ton t-shirt will have a UPF rating of about 4, while a dark blue cot­ton t-shirt could be as high as 18. Look­ing for a UPF or SPF rat­ing on out­door cloth­ing guar­an­tees a measured level of protection. Finally, some tight fit­ting base ­lay­ers, especially com­pres­sion lay­ers, have specially stitched seams dur­ing their pro­duc­tion process, that help to elim­i­nate chafing. We hope you found this a helpful guide to choosing the best base layer for you. Why not take a look at our wide range of base layers for some fantastic deals and special offers.